Now that I’m a married man I thought it was the right time in my life to buy a sensible car – don’t worry, the MR2 isn’t going anywhere – it is safely tucked up in the garage and will still be used regularly. The main reason for buying the BMW is that I can put my mountain bike in the back, allowing me to explore more exciting terrain than I can cycle to from Coventry. It also has the benefit of not needing to use Jen’s 500 as much, which I’m sure helped with Jen getting on board with this scheme. 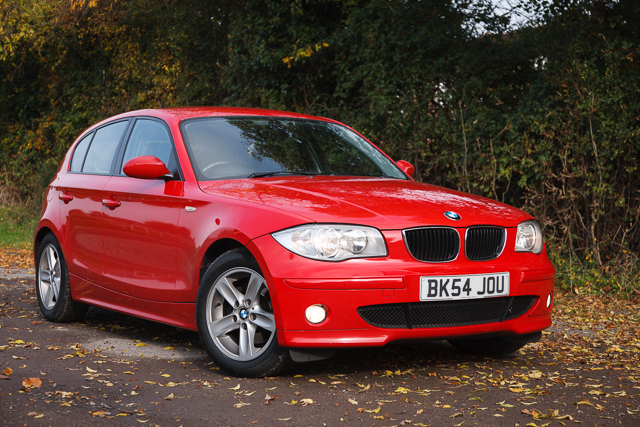 This entry was posted in Cars and tagged 1 Series, 120i, BMW, Photo by Lewis. Bookmark the permalink.